If your kid has the craze to collect all the enthralling pokemon cards for his pokemon trading card game, then this imported pokemon card lot will be the ultimate pick. The set contains 200 cards one GX Ultra Rare Card, two Foil Common/Uncommon cards, two rare cards, hundred basic energy cards, and 95 common and uncommon pokemon cards. 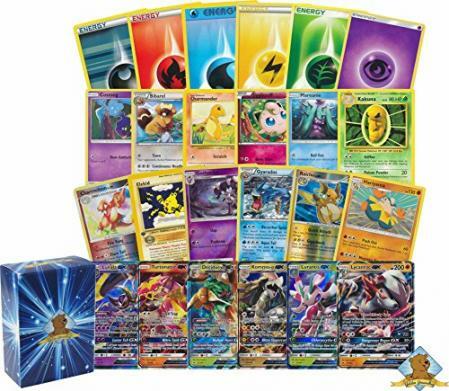 You can find the largest collection of pokemon cards set from the collection of trading card games for kids in Pakistan. Place your order now, buy it at reasonable price, and get it at your doorstep from Amazon online shopping in Pakistan. Title: 200 Pokemon Card Lot - 100 Pokemon Cards - GX Rares Foils - 100 Energy! 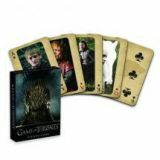 Includes Golden Groundhog Deck Box! DON T SLEEP ON THIS BUNDLE! WITH 100 ENERGY CARDS, WHO COULD BE TIRED? COLLECTIN EM ALL? WE GOT YA! THIS LOT COMES WITH 100 POKEMON! GREAT FOR ANY COLLECTOR! 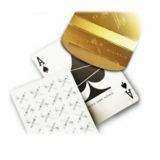 GET YOURSELF STARTED OR BUILD A PREVIOUS DECK! FOILS & RARES, A GX ON TOP! EVERY LOT IS EQUIPPED WITH 2 RARES, 2 FOILS AND A GX!! GOLDEN GROUNDHOG! GG DECK BOX IS HERE TO PROTECT YOUR CARDS! INCLUDED IN EVERY BUNDLE. YOUR POKEMON CAN COUNT ON US!